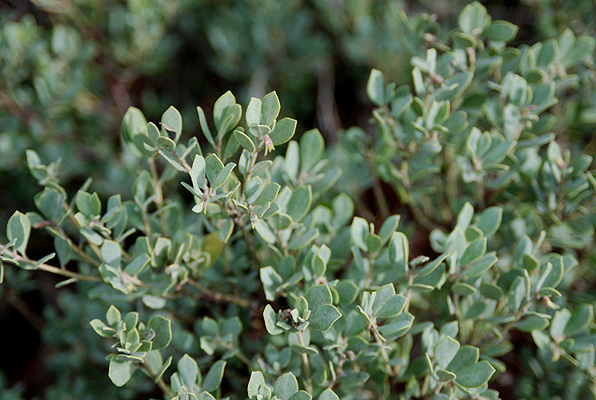 Broadleaf evergreen shrub or ground cover, sprawling habit, forms a mat or mound to about 3 ft (0.9 m) high but can grow to nearly 5 ft (1.5 m). Bark reddish and twigs have a fine, gray pubescence. 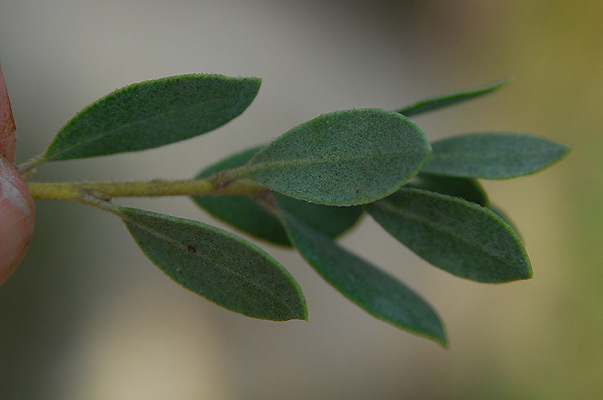 Leaves simple, alternate, spreading, narrow-obovate to oblanceolate, 1-2 cm long and 0.5-1.5 cm wide, base wedge-shaped, tip often obtuse, margin entire, cupped or slightly rolled, surfaces not alike, upper surface convex, dark green, sometimes shiny, sparse pubescence but becoming hairless (glabrous), lower surface covered with a fine, gray pubescence. Flowers white to pinkish in small, sparse clusters. Fruit 0.5 cm wide, more or less spherical, brownish, becoming glabrous. Sun (coastal) or light shade (inland), little or no without summer water. 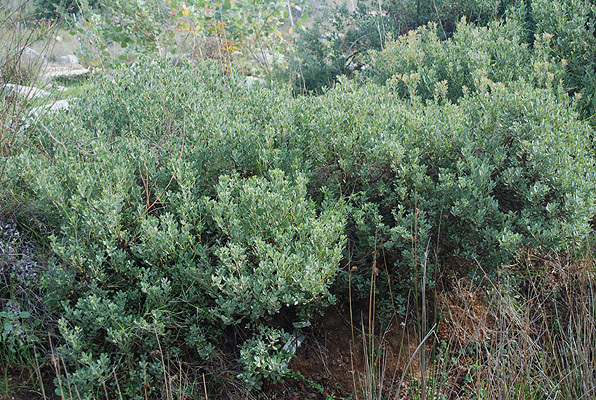 Hardy to USDA Zone 9 Native range limited to the central California Coast, around Monterey Bay.